The Mindful Cook Food Retreats at Breathing Space, Norfolk. 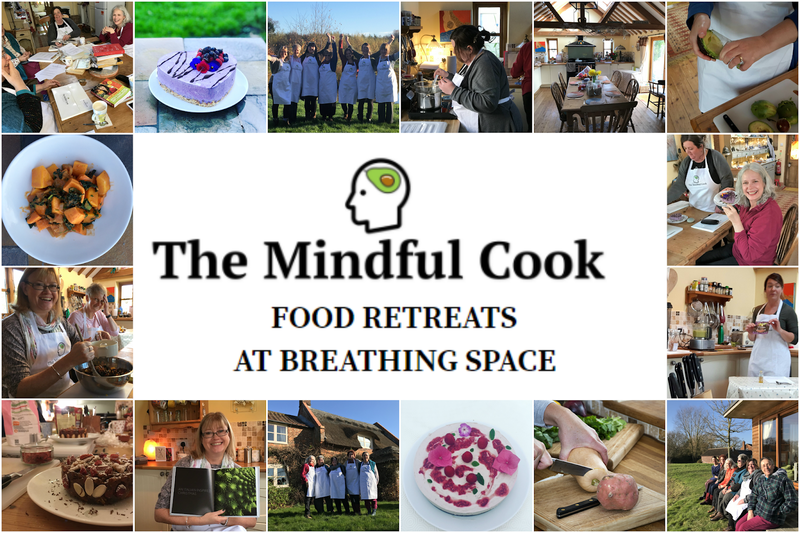 The Mindful Cook retreats are based in the kitchen, but are not a traditional cookery course. 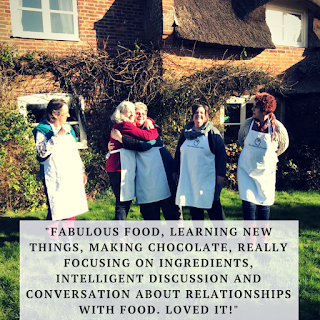 You will definitely learn, through demonstrations and taking part in simple food preparation, how to create healthy dishes that you can recreate at home. You will leave with a folder stuffed full of recipes and inspiration. But that’s not all! 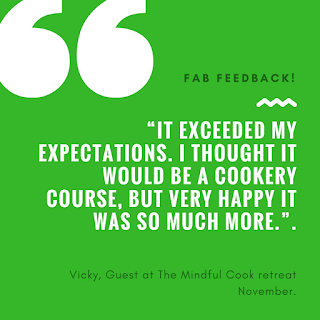 You will get some practical advice and guidance on how to apply Mindfulness to your eating habits and an opportunity to re-think your relationship with food. The weekend will feature some creative foodie activities, the chance to taste some new flavours and to share wholesome meals in great company. It will get you thinking about your own experiences with food and how food features in your life. But don’t worry! We won’t be stroking a pear for hours on end, this retreat is designed to provide you with realistic, usable techniques that you can use every day. 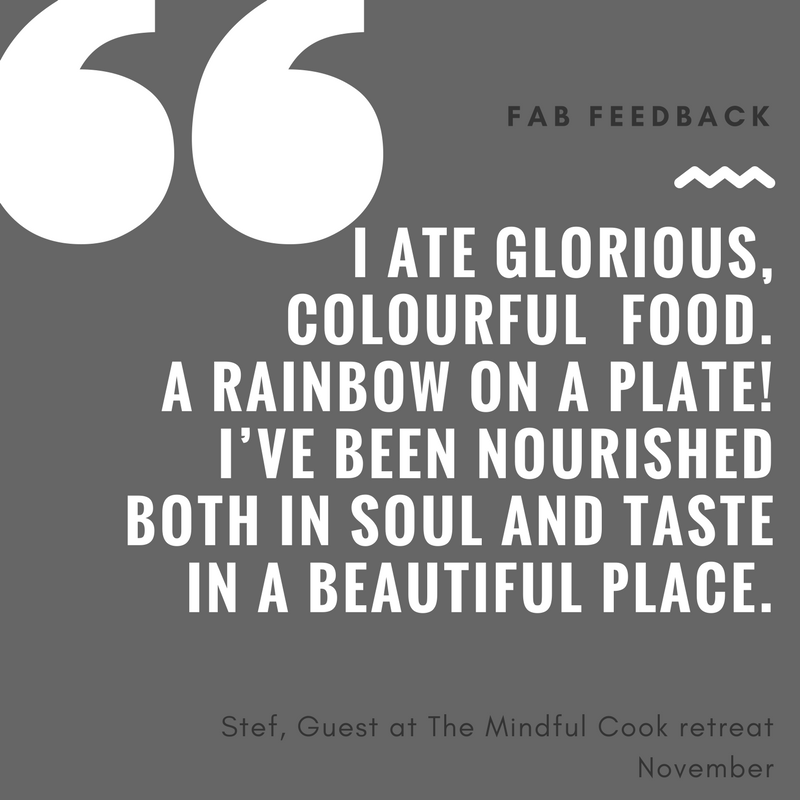 You will get to take time out in a beautiful place, get inspired, leave the retreat with the recipes and know-how to recreate some healthy meals at home, and be reset, raring to go!See the photos attached to this post of the venue and previous retreats. The recipes will be seasonal, nutritionally balanced and at least one gluten free and one vegan dish will be included. If you have any specific requests, get in touch and we will do what we can to feature your requirements. The retreat runs from Friday evening to Sunday morning and includes two nights bed and breakfast, all meals and a mindful meditation session. The Price is £330 for a single room and £290 each to share a room. The cost includes all food, bed and breakfast and the retreat. 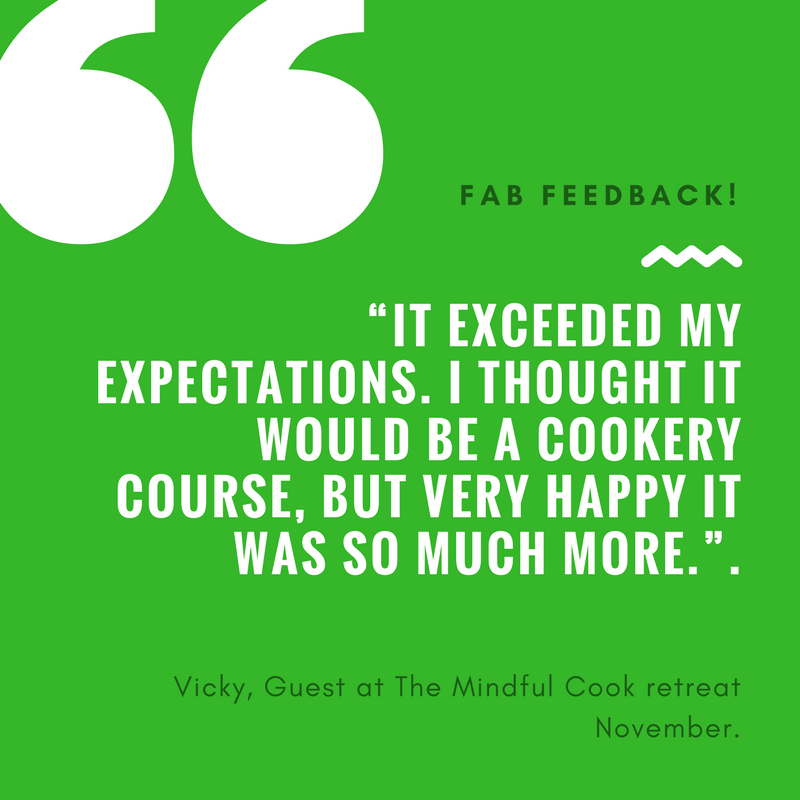 For more info: www.themindfulcook.co.uk/food-retreats/Meanwhile, here's some feedback and photos from the previous retreat..To book, call us on 01692 597198 now.